I love knitting, but now bags take all time! 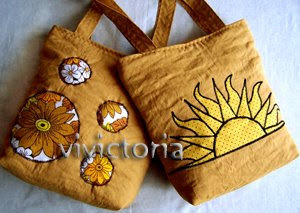 All this grey days drive me mad, so I make sunny bags! 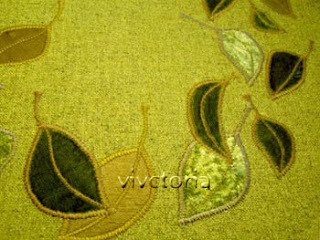 I use linen which is the best for this season and always a very nice fabric. Besides I love the colour yellow! In my workshop a lot cut out colourful pieces, will be appliqued bags. It is what I like very much. Sometimes people ask me where I find my ideas. I can say truly , that from... scisors, because ideas come when I cut, cut, cut! Ususally I don't use patterns so every bag is different. 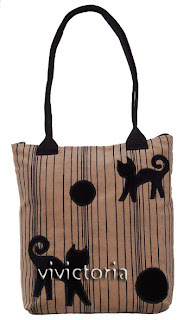 A cute bag that has been animal tested - on me! Very comfortable to use and can carry about 2,5kg in spite of not being very big. 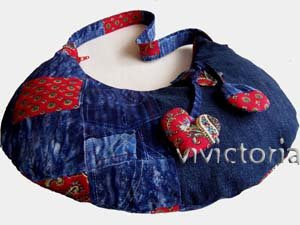 It has funny fabric charms from quilted patchwork print. Spacious enough to contain all our beach gear:) Comfortable and very, very light with big pockets inside. 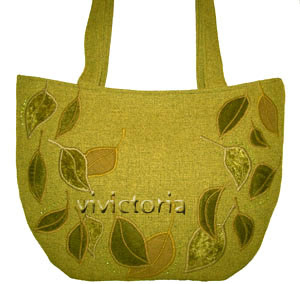 It is one of a series of bags in many colours! 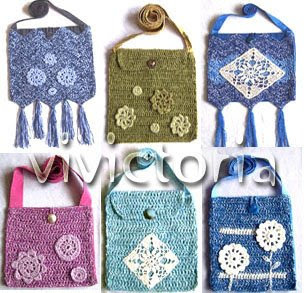 Each of these has nice textile charms. Our weather is so capricious, but I can promise: summer will come! Sure! 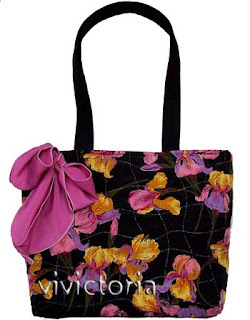 With flower power and colourful bags. Here is a 60's pattern motif with a nice round shape. What doesn't like an ideal summer bag? It must be light, big – even very big, and joyful! It will be a bag series – hopefully interesting. Yellow was made for summer! 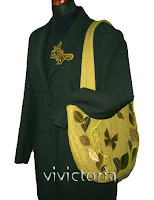 I make a lot yellow bags for this season – soon they will be on Etsy!!! There are so many hues of this nice colour – everyone can find their own preference. Summer must be colourful and and will be. We can be nice and quite strong competition for the flowers! 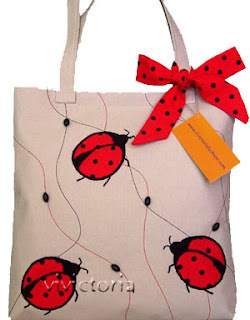 This season bags must be like big butterflies. Folk over and over again?! 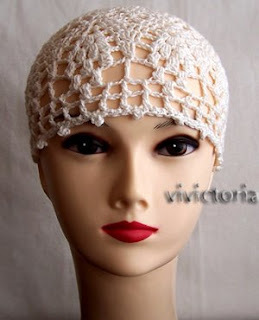 Is there somebody who can be bored with folk styles? Bacause are so many folks... so many inspirations. Folk is really classic. It's changable of course and every season is different. There are a lot flowers patterns this season. Flowers are great– can there be something nicer? These bags are really very big, so the shapes are simple. Batik has been done for ages. 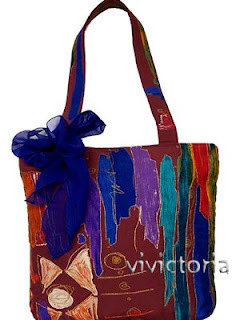 Indonesian batik art is very famous. The art of dying textiles always fascinated me and I started to collect fabric. Authentic batiks are so beautiful! They can be very complicated, but I like the ”primitive”, raw look. 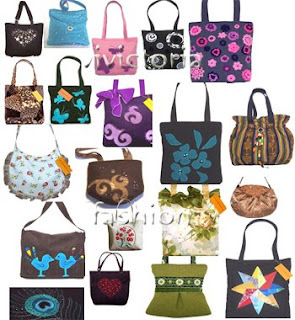 My collection is quite nice and I can make a lot very special bags. 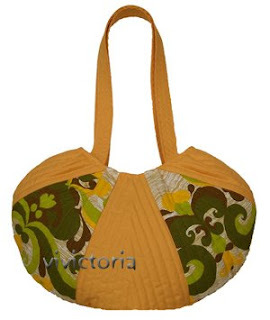 How does one make a bag? Many girls ask and ask me... It is very easy and very difficult question – you will never know before you try! 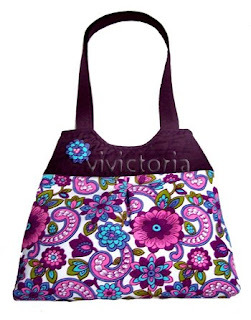 Sewing bags is a lot easier than sewing clothing but is laborious. Sometimes very much. So... make a trial! Experimenting is the best way. 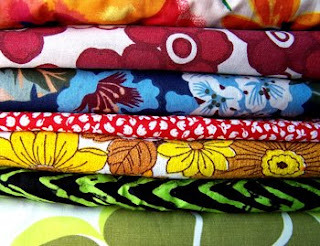 If at home you have a lot cloth, choose somthing what you can waste without regret and get started! 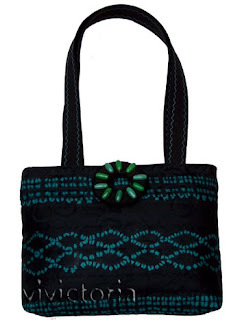 But cloth is not the most important material for the bag! Not at all! Most important is imagination. We all have creative imaginations. We must believe that we have. If you haven't a sewing machine – don't worry! Think about time when people did everything by hand. After all bags aren't so big! Of course you can copy somebody's idea, but why to make the same? You can be the owner and creator of a unique piece of art. One of a kind. The only one in this world! 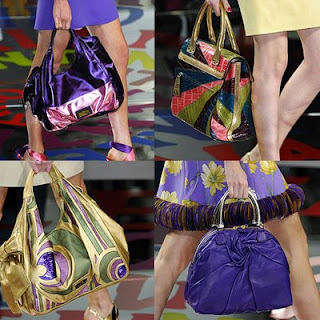 This spring's bags are very „independance”, colourful. We need to look if they fit our clothing. 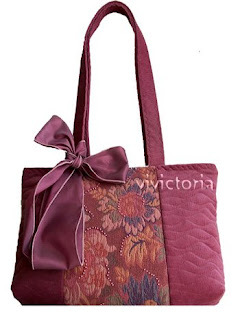 Of course we know this baroque style very good, but now is really explosion of very decorative bags! They tell us: have fun! We already love XXXL size, so we can enjoy! What we carry inside it is our secret! Funny bags. Must everything be serious or glamourous? 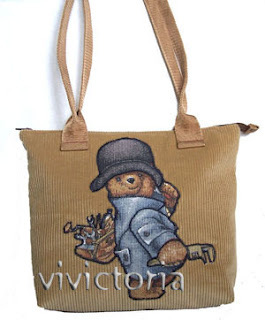 A sweet style, but who doesn't like teddy bears, Sue? Appliques and patchwork. 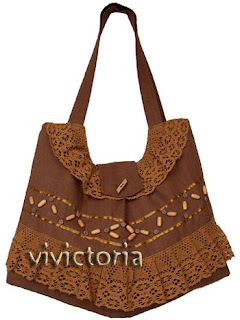 Of course I like to make special bags for small ladies too, they are very difficult customers :) so demanding! Summer demands big bags! It is a must! 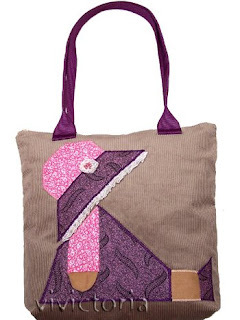 This bag was made with linen fabric – my love. It was printed with exotic flowers and looks great. A lot better in real life than can be shown here. 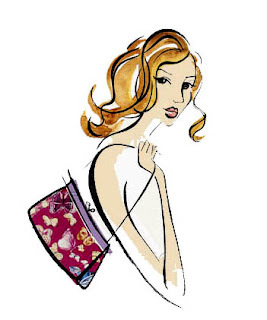 A summer bag must be light too – inside we must put sometimes a jacket or cotton sweater just in case the weather changes. 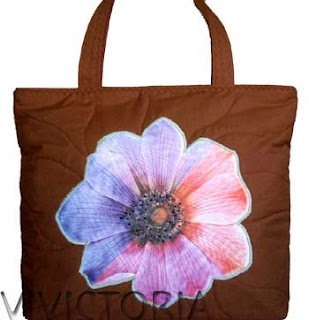 This bag has such subtle colours, it is really exceptional. Usually my summer bags are bolder! 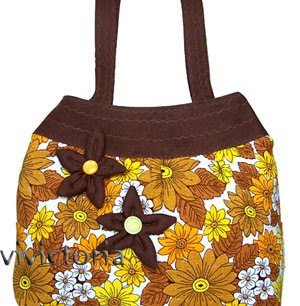 It is still spring but this bag's colour remind us of autumn. My lovely colours: reddish-brown and black. 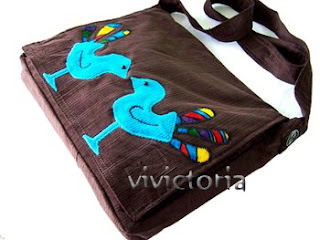 Handmade emboidery on the cotton cord. Cord bags are very nice really and I do a lot. 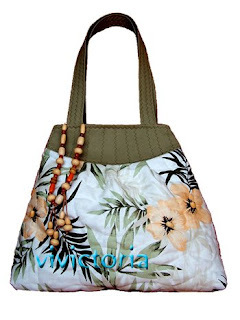 This fabric is special and bags look like brand new for a long time. 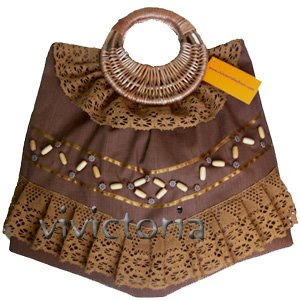 Last year I bought these wicker bag handles, but they were of such bad quality that I had to change my idea. This same shape, two bags. I like crazy summer bags very much. Even in the center of city summer can be nice and full of joy, so bags must be fun too. 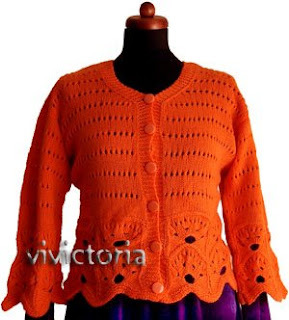 At last it is spring weather, so it is nicer to work and we need to see light colours and funny projects. By hand and with a sewing machine, this technique has so many possibilities. Imagination is the only limit! 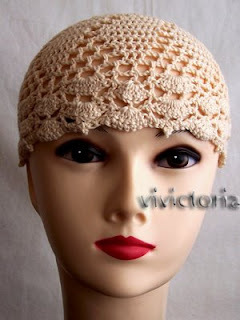 We can make really unusual stuffs using small and bigger pieces of very different materials. 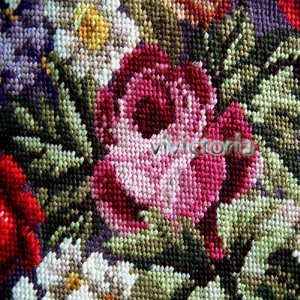 It is very interesting method, quite like embroidery but a lot faster. I don't use patterns, if very seldom, so every bag is unique. In the picture is my personal bag at the moment, which now is over a year old and still looks like brand new. 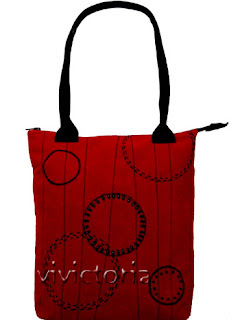 If somebody will ask me, 'What is the best fabic for making bags?” I reply, 'Best? I really can't find one! Bags can be done with every fabric! Because there is a way for every one, even "difficult" fabrics. I like to use materials of the best quality, like silk and cashmere. Silk bags are like poems, but work on them isn't easy. It is a challenge, so it is worth doing! 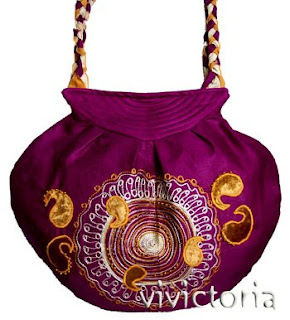 Today I show another "old" bag from a past collection: silk, velvet and beads. Sweet luxury item. 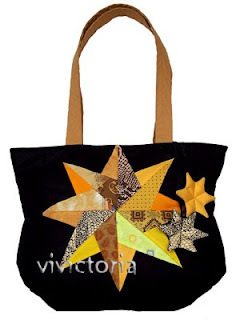 I like very much to play with different materials when I make bags. And what is easy to guess, I love to collect materials. I love so much that it is an obsession! I have too much everything! I don't like pink very much, but this hue is very nice one. Doesn't the bow looks coquettish ? I love the design from this epoque and later, 80's too. 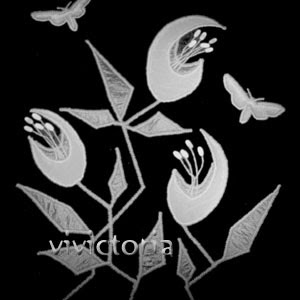 I dream to make remake the prints of the most interesting patterns now. Of course not literally the same, but I can design using this style. There are a lot problems with printing, but I'm stubborn and need to see success! The World belongs to stubborn mules! 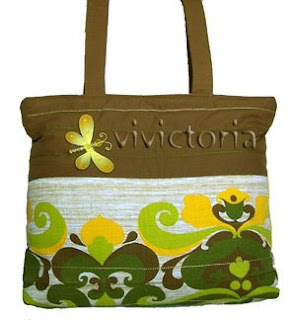 For now a bag with original fabric. A very big one. 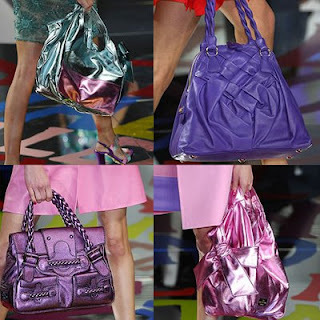 This season's bags are very colourful and no need to match bags to clothing! It can be fun, colour game! Enjoy! Just now we know everything about this season, but I'm thinking about the next... next spring of course! This year's collection, I mean Haute Couture, gave me a lot excitement. My collection is quite nice, and is based on 60's and 70's paterns. I hope to show the 'flower power' style too. I am thinking to make a small "eco" summer collecion too. It is really the last minute, but my dream is so strong! Polish linen is something very special. I love this fabric very much. With Bags Throw the World! 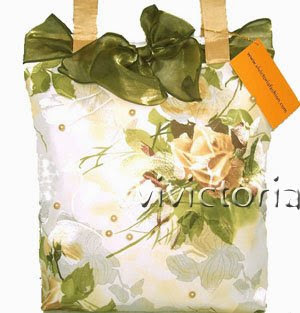 The first fabric bag I did for myself, was very special, and of course I have it now! On the street girls asked me where I bought it... and I started to think a bit... but not a lot! One day I met somebody who told me: make bags! Girls love to have a lot them! And really, I thought: why not?! It was begining of serious bags adventure. 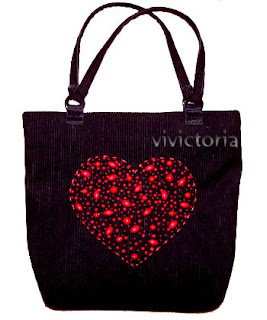 I like kniting very much, especially something original and difficult, but my first bags were quite simple. Of course I did some inventions making bags nice, light and "stiff" with special kinds of linings. It took a lot of trials and experimentation to invent this, believe me! 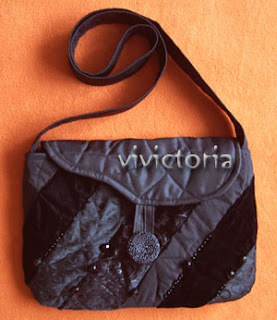 This photo shows one of my first bags this kind. Next was adventure with selling on the streets. Tourists cites in Poland are full of pupils who must visit, know own country. They aren't bad customers but need cheap stuffs, so... I did a lot small, cheap chrocheted bags. Girls loved this and buy. 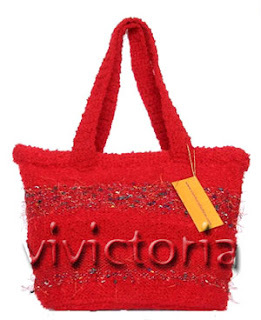 More complicated were knited bags. I haven't a lot photos from this years, I didn't care about documentation, pity. What happend next? A lot of learning, so much experience and still more: applied art is my destiny. Long road: tailoring, weaving, knitting, jewelry and so... plus a mule's stubborness to make everything perfect. No end of learning, it is permanent!